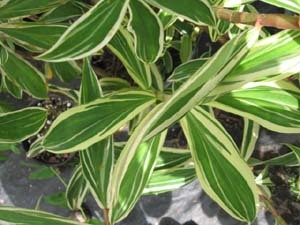 Variegated foliage is great when incorporated to any garden. It adds a a nice contrast to the usually green background. 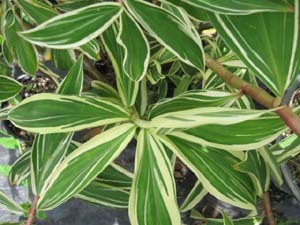 There are many different plants with variegated leaves for you to choose from, but none of them are as tactile as this Ginger. The under side of each leaf is coated with delicate hairs that are soft to the touch. This is one of the largest of the species, the stems sometimes getting so heavy that they fall over. 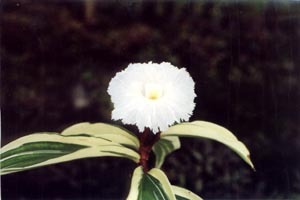 The delicate flower looks as if they were made from crepe paper, thus the common name, Crepe Ginger. It may loose it's leaves or die to the ground in the winter but promptly re-sprouts when the weather warms up.